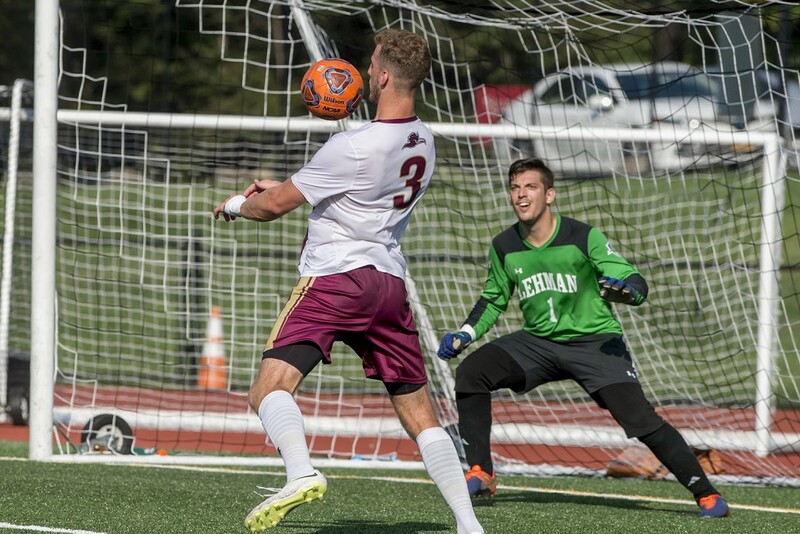 The Ramapo Men’s soccer game concluded in a 3-3 draw with Western Connecticut State University. The Roadrunners played through two overtimes securing their second tie of the season. A modest start to the game eventually erupted into a scoring fury as each team scored twice in a 12 minute span during the first half. Edward Franzoni scored the first goal of the match following a header pass from Joseph Fala making it his third of the season. 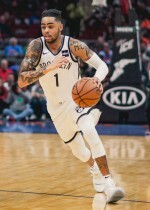 Western Connecticut’s Chauncey Allers took advantage of a David Masala shot that was blocked and converted the rebound into a score. His 15th goal of the season came at the 23 minute mark of the game. Merely five seconds after the restart, Franzoni again found the back of the net to place the Roadrunners back in the lead at 2-1. Only four minutes following the Roadrunner tally, WCSU brought the game back to a tie on a Christian Tomaj goal assisted by Connecticut’s first scorer, Allers. Fala's header at the 41st minute struck the crossbar and narrowly missed on being the third goal and third lead Ramapo would have taken in the game. At the conclusion of the first half, Ramapo held a 15-6 shot advantage and held four corner kicks to Connecticut's one. The second half featured a scare for the Roadrunners when Allers had a shot stopped at the goal line by Ramapo defender Malik Lopes. Allers was not to be denied for too long, however, as he scored his 16th goal of the season on a Dario Richeme pass at the 73rd minute giving the Colonials a 3-2 lead late in the game. With regulation time winding down to almost nothing, freshman forward Peter Livanis scored the tying goal with a mere three seconds left all but assuring an overtime. Livanis’ third goal this season, a header, was assisted by Ronald Kestelboym. The second half shot balance tilted back towards Western Connecticut with a narrow 7-6 lead. Ramapo had four corner kicks to the Colonials two. Neither overtime featured a score and each team alternated 3-1 shot disparities with WCSU controlling in the first overtime and Ramapo reciprocating in the following. A 25-17 shot advantage and 9 corner kicks were not enough to pull ahead of a draw while freshman goalkeeper Joshua Schaffer recorded five saves in a complete game. Western Connecticut goalkeeper Luca DiCarlo registered eight saves in response. Ramapo’s next opponent will be Kean University at 3 p.m. on Wednesday, Oct. 17 in what will be a vital NJAC Conference game. A pregame ceremony will feature an honoring of the team’s eight seniors.